Inquiétez pas, cette revue ne sera pas en Français! Set for the big screen early next early (or late this year for some lucky international markets), the hugely successful West End musical based on Victor Hugo's classic novel is being brought to life cinematically by Oscar winning director of The King's Speech, Tom Hooper. Set in early 19th-century France, a paroled prisoner named Jean Valjean (Hugh Jackman) seeks redemption whilst avoiding the grips of the persistent Inspector Javert (Russell Crowe) against the backdrop of the French Revolution of 1832. 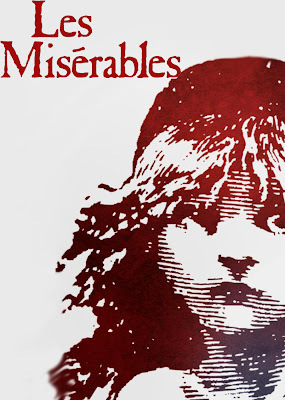 With a cast that also includes the likes of Anne Hathaway, Amanda Seyfried, Helena Bonham Carter and Sacha Baron Cohen, Les Misérables looks set to be a surefire musical hit, as the new trailer released just this morning promises. Not only has this spectacular and goose bump inducing new trailer spiked my interest in this film significantly, but from a personal point of view I also have an invested interest in the film having been considered for two extra roles within the film earlier in the year (it seems I'm just a bit too joyeux and not Misérable enough for them). So when I sit in the cinema studying and critiquing the film after it's release next January, I'll be paying particularly close attention to the extras in the background to see where I went wrong; admiring how much better they are than me! Les Misérables is released in cinemas across the UK on January 11th 2013. Do the prospects of this big screen adaptation make you feel Les Joyeux or Les Misérables? Do you think it will be a blockbuster or lacklustre? Leave your comments below!